Stronger drugs and a lack of legislation contribute to the perfect storm. Despite efforts to address the crisis, opioid overdoses in the U.S. continue to increase at a disturbing rate. A new report compiled by the Centers for Disease Control and Prevention revealed that the number of people checking into the emergency room (ER) after overdosing rose by 30 percent between July 2016 and September 2017. In 2016 alone, opioids were the cause of nearly 42,000 deaths across the country, more than any previous year on record. “In every region, in every age group of adults, in both men and women, overdoses from opioids are increasing,” CDC Acting Director Anne Schuchat told NPR. The fact that the report was only able to capture people who were hospitalized suggests that the grim toll may be much higher, because many people who overdose never go to the ER. Insurers won’t cover alternative treatments: For people affected by chronic pain, there are many options other than addictive pain killers. The so-called interventional pain treatments include local injections and physiotherapy. 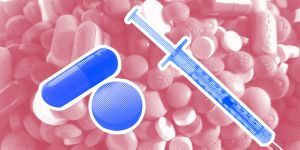 However, perhaps because their positive impacts are more difficult to assess, insurance companies often don’t cover this type of treatment, making them less affordable than legal opioids. Access to stronger opioids: NPR notes how easy it is to get stronger illegal opioids such as fentanyl. While it can be used for pain relief, Drugfree.org notes the drug carries a high risk of dependency, as do other compounds like OxyContin, Percocet and Vicodin, though they can be prescribed by doctors. Kratom is another such drug meant to treat pain relief, yet the U.S. Food and Drug Administration (FDA) has deemed it dangerous. Children: According to research recently published on the journal Pediatrics, the number of children between the age of 1 and 17 who have been admitted to hospitals for opioid overdose has nearly doubled from 797 patients between 2004 and 2007, to 1,504 patients between 2012 and 2015. Jason Kane, an associate professor of pediatrics and critical care at Comer Children’s Hospital in Chicago and lead author of the research, suspects many gain access to their parents’ medications, and either intentionally or accidentally take them. Lack of legislation: The opioid epidemic is clearly nothing new, yet congress has put little effort to address the situation; a belief shared by Andrew Kolodny, co-director of Opioid Policy Research at the Heller School for Social Policy and Management. Kolodny told NPR: “There’s been a lot of talk from Congress and from the administration and a recognition that we need to do something about this problem. But nothing yet has happened.” As reported by Bloomberg BNA, however, both the House and Senate are now looking for ways to manage the crisis in the future. In January, Arizona Governor Doug Ducey introduced new legislation intended to combat the opioid crisis. According to Reuters, Arizona officials blame opioid overdose for roughly 800 deaths occurred in the state since June 2017. While the opioid crisis can’t be attributed to the combination of the above factors alone, it’s clear that more must be done to offset the significant loss of lives to products that are supposed to help people. The CDC’s report is sure to turn heads and bring some much needed attention to the problem, but it’ll be for naught unless things change fast, be it through legislation, or future drugs made specifically to tackle addiction and withdrawal.